Introducing the automated, mobile application, test solution TAAS. It makes testing your mobile applications simple. The barriers to entry have been lowered. Forget about complex or difficult test automation solutions that depend on developers and complicated coding. Even if you’re not an expert, TAAS allows you to easily write simple test scripts and perform powerful tests for your mobile applications. TAAS helps improve the quality of your mobile app. Leave it to TAAS to run the highest performance tests for your mobile apps possible. All performance tests are easily trackable, and defects identified through our simple, but powerful secure web based UI. 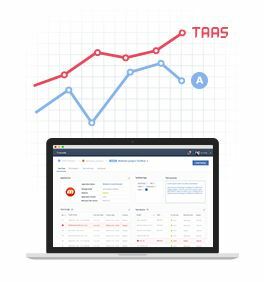 TAAS allows you to save money, while you optimize your app’s performance. – Performance tracking, and automated test scheduling. – Easy to understand performance reports. And a lot more, all available in a simple UI, for an affordable price. Tstudio is a simple automated testing tool that generates scripts based off simple mobile device user gestures, and device inputs. You don’t have to be a coding expert to be able to quickly create, and manage test scripts with Tstudio. 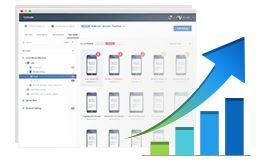 Tconsole is a browser based service that allows you to test, track, and run reports about your mobile application’s performance without having to download or install any software. Managing an application’s performance has never been simpler. 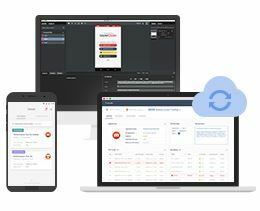 Install Tplayer on any compatible mobile device to run test scripts for that device eliminating the need for USB or wifi connectivity to a stationary computer system. Any device you own can be independently, or simultaneously tested.